Our highly experienced team have all spent many years in the specialist lending sector helping introducers and their customers to secure funding. They are an expert, supportive and helpful team that delivers the kind of high quality service you would expect from people who have been in the business for so long. With this expertise comes a high level of service for every introducer, every enquiry, every customer and every case. The team will even make sure we visit every site and discuss the project with the customer to better structure each transaction. We are passionate about property and would welcome the opportunity to show you the Roma Finance way of delivering bridging finance. Phil is a founder and chairman of Pilot Group: a privately owned group of companies, including Roma Finance, all focussed on providing their customers with leading edge, innovative technology solutions. A Chartered Accountant since 1982, Keith has held FD positions in blue chip companies specialising in mining equipment, textiles and retail. Since joining Romaco in 2014, he has overseen the expansion and development of the Group’s corporate and funding structure. Scott has worked in financial services for over 15 years, having built up extensive experience in property lending, development finance and bridging loans. His roles included 3 years in Corporate Finance for Arthur Andersen in Manchester and more recently, he was the Credit & Risk Director at Lancashire Mortgage Corporation, part of Jerrold Holdings, before establishing Roma Finance in 2008. An expert in specialist lending, he has engineered Roma’s credit policy and processes. Scott is married with 3 children and his main interests include table tennis, squash and walking. As a qualified CIMA accountant, Steve has spent over 13 years in variety finance roles in distribution, structural engineering, fashion, car refurbishment and IT companies. Since its inception, Roma’s growth has warranted a Finance Director as well as a finance controller. Steve has been bought in to complement the existing FD to help support the business at a critical time in its growth. He feels he is joining Roma Finance at an exciting time and is looking forward to helping the business achieve its aims. He’s married with two kids who take up a lot of his spare time and he is often out with them at their various sporting activities. An ex rugby player, he now enjoys supporting and coaching at his local club. He is also out every day walking his Border Collie! Jenny has extensive experience in Administration and helping to run busy offices. She provides logistical support for the Roma Finance Head Office and BDM teams. Jenny plays an important role in ensuring efficient working practices and always has a positive attitude in the way she completes work. In her spare time Jenny enjoys baking, spending time with family and friends and the creative arts. Melanie is a qualified Lean Six Sigma transactional Black Belt and is very adept at managing projects to develop streamlined systems and processes that add value to our broker and customer experience. She has over 10 years’ experience within financial services, having previously worked for Yorkshire Building Society as a Customer Adviser, Lancashire County Council as a Project Officer and PA & Project Manager to the Operations Director at Together. Melanie is married with 2 children and these take up a lot of her spare time! Nick brings 20 years of experience working in Credit and Collections to his role at Roma finance with an emphasis on Customer Services. He has worked in many business sectors such as pharmaceuticals and construction and sees his role at Roma as being very different from what he is used to “At Roma, we place a large emphasis on treating the customer fairly and ensuring that it’s a positive relationship on both sides”. Outside of work, Nick plays the guitar and spends his other spare time with his two young children. Tina joined from Horwich Farrelly Solicitors where she worked for 7 years in the anti-fraud team looking into personal injury claims. Tina is a highly capable administrator and provides an excellent support role for the Roma Finance team and its introducers. Tina spends her spare time taking part in activities to help raise funds for multiple charities such as Alzheimer’s Society, Cancer Research and Rainbow House. Most recently she has taken part in the Manchester Shine Event which was a 24 mile midnight walk and has also completed a midnight hike on Ben Nevis. Lorraine has 19 years in the finance industry with roles at unsecured and secured lender Beneficial Finance and as a branch manager for both the Co-operative Bank and Secured Trust Bank. Her experience includes Customer and Client Relationship Management, Business Development, Audit, Compliance and Underwriting. In her spare time Lorraine enjoys spending time with her daughter and going to the gym. Sam has 23 years in the property finance industry with management roles at high street banks, peer-to-peer and bridging lenders. She has also been a specialist commercial mortgage broker. Her experience includes development finance, bridging and long term commercial and investment loans. In her role at Roma, Sam helps to ensure each case is looked at individually and promptly to provide the best possible customer service with a view to delivering positive outcomes. Outside work, Sam and her husband have undertaken a number of property renovations with some being let and others sold for profit. 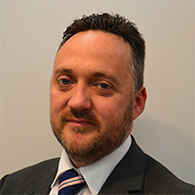 Jon has 15 years experience within financial services including roles as Senior Underwriter within Santander, an underwriter within, the Merrill Lynch owned lender, Mortgages PLC and various underwriting roles within Together Money. He also has Collections and Litigation experience, having worked the arrears book at Deutsche Bank. In his spare time, Jon can regularly be found in the gym, indulging in PlayStation games or playing his guitar collection. Adrian has 17 years’ experience working in the financial sector. At RBS he worked as a Business Advisor supporting a number of Relationship Managers on the front line, followed by 11 years as an Underwriter. He has spent the last 3 years as a Senior Lending Manager working for NatWest covering the North of England, supporting and training 65 Relationship Managers including helping them progress their larger deals through Credit Approval and on to drawdown. In his spare time Adrian likes playing golf and walking as well as watching football and motor racing. Jack joined Roma Finance as a Trainee Underwriter having completed both an undergraduate degree and post graduate masters degree in Chemistry at Manchester Metropolitan University. His role is quickly progressing towards managing his own cases and overseeing a variety of bridging finance applications through to completion with an emphasis on professionalism, speed and service. Jack’s interests include reading, music and podcasts. He is also a fervent hiker having recently climbed Snowdon in order to raise money for Solving Kids Cancer. Kasia Rzadkowka joined Roma Finance in September 2017 as an Underwriting Assistant. In this position, Kasia provides administrative assistance for the Underwriting Team. She serves as the primary contact for new customers and external offices. On a personal level, Kasia enjoys traveling and going to the gym. Lauren graduated from Bangor University with a degree in Health & Social Care and has started her career in finance at Roma. In her role as Underwriting Assistant, Lauren provides admin support to the underwriting team on bridging cases with an emphasis on delivering high quality customer care and service. In her spare time Lauren enjoys playing football, watching sports, reading and trying new restaurants. With over 20 years’ experience in sales leadership, Tracey brings a high level of expertise to the Roma team. Having managed teams in high profile companies such as Sky Sports and the RAC, she is passionate about developing our staff and building a high performing sales team to grow the business and to further refine Roma’s first class service proposition. Tracey will also work with existing introducer partners and build new opportunities within the bridging and commercial finance sectors using her vision, direction and motivation to drive results across the business. In her spare time Tracey enjoys keeping fit with activities including skiing, surfing and biking. Daniel previously worked as an underwriter with Scott at Lancashire Mortgage Corporation. He has a broad knowledge of the bridging market which he applies to his role, working cases from initial application through to completion, ensuring clients complete their applications as quickly as possible. Over the last couple of years, Daniel has brought on and developed relationships with some of the UK’s largest packagers. Daniel prides himself on being available to clients and introducers around the clock, always being on hand to offer help and focuses on providing clients with a high quality service. George has worked in the finance industry for the last 5 years, having worked previously in Y3S’s Manchester office. He has a background in B2B and B2C specialist finance and so he has a clear understanding of the needs of both customers and introducers to provide a market-leading service. He is on hand to help with any bridging finance enquiries you may have. George is a keen rugby and motorsport enthusiast and regularly visits race tracks across the UK in his spare time. Rachel is CeMap qualified and worked for RBS for over 16 years in various lending & advisory roles. Now as a Bridging Specialist, Rachel is passionate about providing a great service to existing introducer partners as well as building new relationships. In her spare time Rachel enjoys swimming and is a keen runner. She has two sporty children whose activities include kickboxing. Danielle has recently completed an accelerated Business Management degree but already has 6 years’ experience in the insurance sector working in the student, tenancy and travel markets for a major insurance company. She has extensive experience in a sales environment and delivering the customer services experience. In her role at Roma Finance she supports the sales team in generating new bridging opportunities from existing and new introducers as well as assisting the team with new finance enquiries. Danielle recently completed her first triathlon raising money for Alzheimer’s Research and has been a dressage champion as well as an accomplished skier. She also loves travel and has been on worldwide tour. With a degree in Business Management from Coventry University, Will worked for seven years in banks and building societies as well as a Peer to Peer lender as a property manager which involved lead generation, underwriting, collections and relationship building. He has also worked in a brokerage as a fully qualified mortgage adviser. At Roma Will enjoys building new contacts and working with brokers and their customers to help structure bridging transactions for the best possible outcome. In his spare time Will likes to spend time with his family. He is a keen sports fan, especially cricket and rugby which he still plays for local club.